Lauren Galey: I’m Lauren Galey here with Suzanne Lie and the Arcturians. We invite you to sit back, as we enter the Quantum Realm, that inner space that is the greater part of you. This Quantum Realm is your connection to infinite possibilities, infinite potential and infinite mastery. In this Quantum Conversation we are discussing Light Language and how it literally is quantum in the sense that it contains an incredible amount of information that is a part of your greater mind, and/or the source of your ability to communicate with the collective. 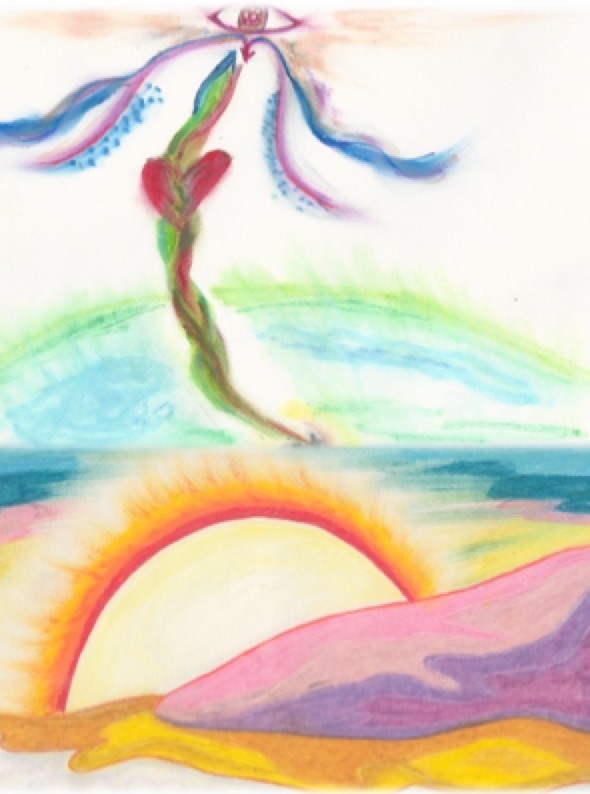 The Arcturians are here within this NOW to channel information about Light Language through Suzanne Lie. 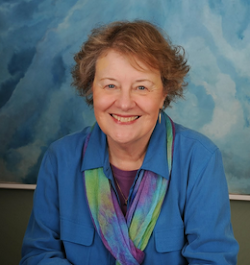 Sue has been channeling the Arcturians for decades, and she is here with us NOW with a message for the August eclipse, and more. Suzanne Lie: Greetings to you all. Lauren G: I love the information from the Arcturians. And, we’re going to have them channel through you. For those who are new to you, I just want to share that you can pop in and out with the Arcturians a lot, as you’re very connected and you receive information. It’s quite fascinating when we go through the archives and we hear the messages that the Arcturian’s bring. What I’d like to say is that lately they are talking about the brain, our brainwaves, our perception, and how this great “Shift of the Ages” is about humanity’s shift in consciousness, which allows a great shift in perception. Sue, will you begin by channeling a message from the Arcturians. Arcturians: Greetings, we are the Arcturians, and we are happy to meet with all of you within this NOW. We can feel your collective energy field and hope that you can feel our energy field as well. Sue L: I am so grateful to have you here again in this space to open up this communication. I can certainly feel this connection, as well as the energy bodies of the Arcturians. Dear Arcturians, I would like to have the first question center around the eclipse in August. I know this eclipse will be a very powerful time here in the United States, as the eclipse will cross from the Northern Pacific Coast, all the way across America into the Southern Eastern Coast. We would all like to hear about what effects the eclipse might have on our consciousness. Arcturians: Blessings to all who will receive this message. We send our Unconditional Love to each and all of you. We will now answer Suzille’s questions. The effect that any eclipse has on your consciousness depends upon your receptivity that you have to the energy field of the eclipse. However, because the energy field of the eclipse is so strong, you don’t have to be in physical alignment with the eclipse in order to enter into the eclipse’s energy field. First, one of the things that we, the Arcturians, would like to say about this eclipse is that it starts off entering Oregon, which is one of the last places in the United States to be inhabited and populated. Then it ends up in the Carolinas, which was one of the first places to be colonized. Therefore, this eclipse will serve much like a reset. When you reset your computer, you turn off your computer and turn it quickly back on again. What happens is that the light turns off for a moment, and then, the light turns back on again. Often, when the computer needs re-setting, it is because it has been given too much information, too quickly. Then, some of the information (which is stored as light in your computer) the information becomes a bit scrambled, and it is difficult for it to function in the manner in which a computer is made to function. Then, the computer has difficulty. However, if you turn it off and turn it right back on again, you will reset it. Then they need to relax and do something else for a while so that they can relax and reset their thinking. They have to “turn off” what they were doing for a while, and allow their brain to incorporate the new information (stored as light synapses in their brain). What we are saying is that, if you can look at this eclipse as an opportunity for you to reset your consciousness, you can take advantage of the higher light of the eclipse to remind you that taking the opportunity to “reset your consciousness on a regular basis” is something that needs to be incorporated into your daily life. If you “take the time” to reset your consciousness by taking the “time” to meditate, walk in the woods, stare into the sky, draw a picture, or have a nice time with a good friend, your consciousness will reset out of the stress of daily life and into the NOW of the ONE. Whenever you allow your consciousness to rise in this manner, you “store that higher consciousness” for when you are driving home from a stressful day at work in traffic, you are late, you find out that your child got in trouble at school, you run out of gas on the freeway, or whatever else happens, you can DOWNLOAD your higher states of consciousness that you stored within your earth vessel! This eclipse is an invitation for humans, specifically those in the United States, as that is where the eclipse is the strongest, to align the great Light of the eclipse with the inner light of their own consciousness. Lauren G: Thank you Arcturians, so the eclipse is an opportunity to reset our consciousness. It’s almost as if all of this information that all of humanity has been receiving comes to a point where our inner knowing needs to step forth in a stronger way. Can you, the Arcturians, speak to what’s happening right now with the polarity in our nation? We know this eclipse is a beautiful opportunity to truly raise up above all that which is childish, as well as any states of consciousness that we’ve evolved out of, and step into really trusting our inner knowing even more. That’s really one of the great tests that are going on. Can you, the Arcturians please speak to this? Arcturians: Yes, the United States, specifically, has been going through a huge transition. So many different things are happening that many people don’t understand. As we stated before, one of the important points with the United States is that it is a very big country. Because the country is so big, what goes on in the West Coast can be at a very different frequency range then what goes on in the East Coast. Also, what is occurring between the two coastlines can also be of a very different frequency. Therefore, the United States has fallen into a degree of separation consciousness where many of the people are feeling separate from each other. Then, because they feel separate from each other, they feel separate from their country, because their country is that which holds people together. If you were to look at the United States as a family, and all the people in the United States are like the children in the family, then sometimes the children would get along, but sometimes the children may go in different ways. Therefore, what has happened in the United States is that the people have gone into many different directions within their beliefs, thoughts, spiritualty, etc. However, the strongest unity is unity of diversity. Hence, many of the people face their challenges in different ways. Also, because the United States is a relatively new country, and is made up of people from all over the world, there has always been a great deal of diversity where many of the people from different areas band together, rather than just integrating into the diverse cultural system. This eclipse is will assist with unifying the United States as the eclipse’s beam of light enters in one of most recently populated areas and exits through the area of the first American colonies. Light, which will “go out” as the eclipse crosses the country, will reset many of reasons for the separation consciousness by activating a Unity Consciousness across the entire country. This call for Unity Consciousness for all the different people across the United States will be activating, as people from all over the country join their consciousness when they all perceive, and/or attend to the SAME thing within the SAME NOW. So many different people, attending to the SAME perception within the same NOW, is a great boost towards “UNITY of DIVERSITY,” as all the different people all tune in to the same event of the eclipse. The eclipse is something that all of diverse groups of the United States will share the same thing that is occurring in their collective society. Some people, like those in Oregon might see it, those in the Carolinas might see it. Most of these people will not be able to see the eclipse at all. But they can all tune into it with their Unity Consciousness. Just think, if a majority of the people in the United States all tuned in to one thing, now that would be very strong Unity Consciousness. Unity Consciousness is the most important component that is necessary to work towards, create, and to fulfill Planetary Ascension. Therefore, the Unity Consciousness created during the eclipse, can be perceived as a rehearsal for Planetary Ascension. Even though this event is crossing the United States, all of the members of Planet Gaia can join together to experience the UNITY of the MANY focus on ONE thing. Lauren G: That is so beautiful! This call for Unity Consciousness is absolutely beautiful. We are gathering to focus on a Collective Level as well as a Personal Level during this eclipse. I love that we do not have to be in the pathway. Of course, being in a place where you can see the eclipse has the potential to be a very crowded experience. So, planning ahead is essential. Otherwise, you might get caught in extreme traffic if you think you can just drive to get to a location. It is great that we can all consider that it’s okay not to be in that path of the eclipse. For those who cannot get to the path of the eclipse, they can use the time of the eclipse to go into meditation to experience the Unity Consciousness of many people meditating on the same thing at the same time. Yes, that would indeed expand our Unity Consciousness. I’d like to go back and talk about two things. On a collective level, it’s beautiful to focus on the Reset and Unity Consciousness, and what that looks like in our world, as we hold the vision of unity for all. Can we actually walk it, and live it, from the perspective of the eclipse reset point? Then on a personal level, I’d like you all to share with others how each of you can further awaken your abilities, specifically your ability of Light Language. There’s two parts here, as we have the collective and the personal. Beautiful as always. Thank you dear Suzanne and Arcturians. Practising the breath as the Arcutrians guided us is very helpful to calmdown and to meditate. The busy head was and is a real challenge. I swim like a fish. I love like a star. I open to all, and allow all to me. I don't do much much physically, for the ocean is where i do my work, but we shine where we can... we bathe, we shine. We shine so bright, that the light might encompass the earth in a loving embrace to take seat in thy chest. peace and harmony, through patients and love. Much to learn, much to perfect. its not been long since we took our first step. The Mujahadeen. A carrier of the grail. a pearl. as am i, as are you, glory to all that constitutes the human. Thank you :) Always the Arcturian message came at the right time. Gratitude with unconditional love within this NOW. Inner reality reset makes ones to relalise and find answers to every question and solutions to problem.